Brand New Resort! 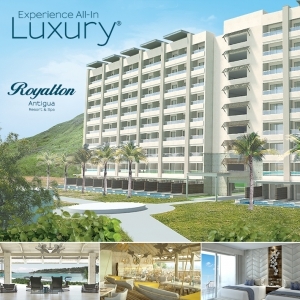 Royalton Antigua beckons. You can indulge in a luxurious escape with exceptional service, stylish architecture, and delectable food. Sitting on a stunning private beach next to breathtaking clear waters, you can relax in an upscale ambiance and enjoy the soothing effect of the soft trade winds. Royalton Antigua is perfectly situated on Deep Bay, just 30 minutes from Antigua International Airport. All inclusive resort.